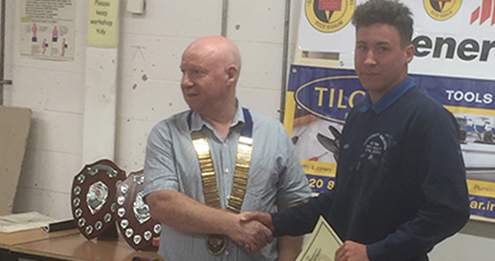 A construction student from Bradford College finished fourth in a regional bricklaying competition.Joshua Smith placed fourth in the Yorkshire heats of the New to Competition section of the Guild of Bricklayers competition. Joshua, who works for Bradford building firm Martin Hargreaves Builders’, narrowly missed out on third place having tied on points with a fellow competitor before an independent judge was called in to split the two. The competition, which took place at Doncaster College, required competitors to build a wall to a specified design. Joshua’s tutor at Bradford College, Joe Lumb, was proud of his student’s success, especially given less than ideal preparation. “Josh had been on holiday in Spain all week and didn’t return to the UK until the early hours of the day of the competition,” said Joe. Anyone interested in studying brickwork or other construction courses can come along to the next open event, on Saturday, July 7, or call 01274 333 333.